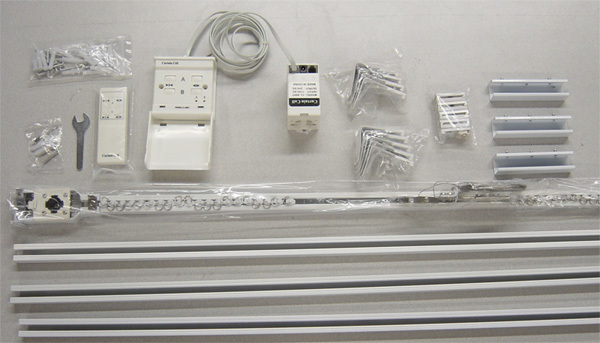 Remote Control Electrical Curtain System, up to 13 feet. Simple installation with driver and control system in one box. Safe and reliable design with GS, CE, or BS approval. Please click the link for Assembly instructions for CL-820. Warranty: 90 days, d:( 98x5x5)", wt 17 lbs. WARRANTY & SUPPORT. Tech support from manufacturer and PSI. 3-month warranty. For tech support and/or RMA, please go to http://www.psism.com/support.htm.